“For many whānau, it’s still grandma who makes the Christmas cake or pudding – and who looks after the kids during the year so the parents can work,” says Professor Kerse, head of the School of Population Health at the University of Auckland. Professor Kerse has just been appointed the inaugural Joyce Cook Chair in Ageing Well, a role made possible by a $5 million gift to the University’s For All Our Futures fundraising campaign from Metlifecare founder Cliff Cook. Kerse is recognised as an international expert in maximising health and reducing falls for older people, and the impact of physical activity on development of disability. 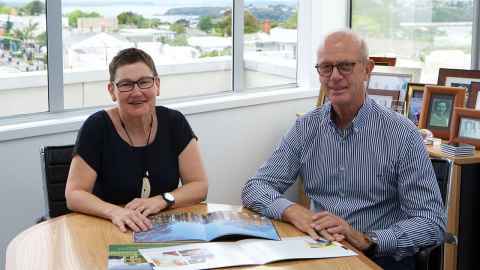 She spent many years working as a GP in residential aged care – “I love nursing homes, they’re such a place of complexity and joy” – and still practises part-time as a GP at the Auckland City Mission. She wants to use her new role to mobilise communities, including the well elderly, to be social connectors for the ageing and lonely, with the broader goal of transforming cities and rural towns into age-friendly environments for our increasingly diverse elderly. Forty percent of Māori and 28 percent of non-Māori participants reported feeling lonely always, often or sometimes. 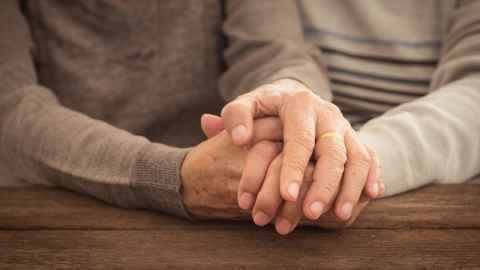 New findings from a world-first longitudinal study into advanced ageing that she co-leads with Dr Marama Muru-Lanning paints a stark picture of loneliness in old age. The Life and Living in Advanced Age, a Cohort Study in New Zealand (LiLACS NZ) is following almost 1000 people in the Bay of Plenty aged 80-plus. More than 60 percent of non-Māori women and more than half of Māori women in the study are living independently and alone. Men are more often living with a wife. Forty percent of Māori and 28 percent of non-Māori participants reported feeling lonely always, often or sometimes. For widowed people, the figures were 46 percent (Māori) and 42 percent (non-Māori). Retirees were significantly more likely to report loneliness for Māori but not non-Māori. One in 20 participants overall reported feeling lonely always or often (5.1 percent of Māori, 5.5 percent of non-Māori). Risk factors for loneliness in non-Māori included saying they needed more emotional support, being always alone, having more medical conditions and experiencing pain. Protective factors included living with a spouse and saying growing older is a positive experience. Risk factors for Māori were harder to identify, and included being always or often alone. A protective factor was eating meals with someone daily. I wish Ngaire all the best because we could do so much better by our older people. We need to change limiting perceptions and allow them to continue contributing. Professor Kerse says the demographics of our very old are changing rapidly, with growing proportions of non-Pakeha. “We need to understand the different experiences of growing old across different ethnic groups,” she says. “For example, more than 15 percent of older Māori are raising mokopuna, and more than 40 percent are in a shared parenting arrangement. For Pakeha, those figures are 2 percent and 5 percent. Professor Kerse is continuing her research with LiLACS NZ, as well as a long-running research collaboration with the School of Engineering on robot companions and self-care reminders for the elderly, and starting a new trial into using exercise to prevent falls in residential care. “I’m so grateful to Cliff Cook and the University for this opportunity to bring focus, energy and resources to deepening our understanding of ageing, giving older people a voice and working with collaborators to make things better,” she says.